On the 9th of March 2019 the 51st Marlay Point Overnight Race was held by GLYC with the support of LWYC. Adam Brinton – Club teams trophy. ‘Royal Geelong YC’ – Entered by Rhys Cantwell. 4267 – El Diablo, 3042 – Bartkey, 3052 – Broken Blade. Ray Cole – Divisional teams trophy. ‘Divc’ – Entered by Tony Doolan. 5323 – Down Under, 5338 – Vintage Red (NOLEX 25), 4204 – Fat Bottom Girl. Lindsay Dack – Class teams trophy. ‘Castle650’ – Entered by Mitch Bayliss. 4057 – Pipalini, 4209 – Rook, 4257 – Mad Mouse. 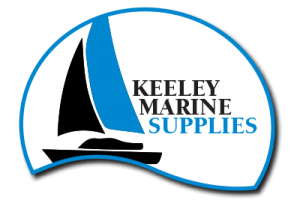 It is with great pleasure that the MPONR committee would like to announce that Keeley Marine Supplies is the Major sponsor for the 2019 and 2020 races.. The Marlay Point Overnight Race has been running on the Gippsland Lakes since 1969. It is the only overnight race for trailer sailors in Australia and has earned the reputation as the Sydney-Hobart for smaller yachts. Previously hosted by the Lake Wellington Yacht Club (LWYC), this iconic race that runs on the Victorian Labour Day in March every year is now hosted by Gippsland Lakes Yacht Club (GLYC) under the guidance of LWYC. Starting at sunset, competitors sail across Lake Wellington, through the McLennan Straits into Lake Victoria for the run home to Paynesville. 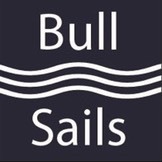 Regarded as Australia’s premier race for trailable yachts and multi-hulls, about 4000 boats and 11,000 sailors have been involved over the past 50 years, making the Overnight Race a must-do on every trailer sailors bucket list. In 2018, the CH Robinson Marlay Point Overnight Race celebrated its 50th anniversary. 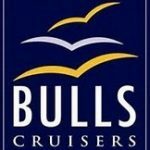 An achievement of which the small club (LWYC) is very proud. More than 200 yachts, and 600 crews, families and supporters from all over Australia, plus hundreds of spectators, converged on Marlay Point, 22km from Sale on Lake Wellington, for another spectacular sunset start.